Hey Friends. Chloe here…Hope you all had a great weekend. I had a pretty nice weekend, although hit one bump in the road. On Sunday morning my knee pain came back during a long ride and I had to cut my ride short call Chris to pick me up off of the side of the road 😦 On Wednesday I will be giving you more details about the knee pain as well as how I’m feeling at this point in the season, but what I will say for now, is that training for a HIM is not all sunshine and butterflies. BUT, what is all sunshine, butterflies, fun AND games is Eating Club. This past Friday was June Eating Club. Originally, we had planned to have one of our typical pot lucks. We had even picked a theme: “Let’s Get Saucy,” but as the date came closer, we realized that the group would not only be small this month, but that most girls didn’t have time last week to prepare dishes. So…we decided to change plans and head to 901, a new swanky restaurant that just opened in D.C.
From the moment I walked in, I knew we had chosen a good spot for dinner and I was glad that I had made a reservation. It was hoppin’! We met around 7:45 and the happy hour crowd was still going strong. I got there a few minutes early so parked myself on the end of the bar and treated myself to a nice cold glass of Riesling for $5. Pretty good happy hour if you ask me. The rest of the girls showed up about 15 minutes later and we were quickly seated at our table (which donned a “table reserved” sign). 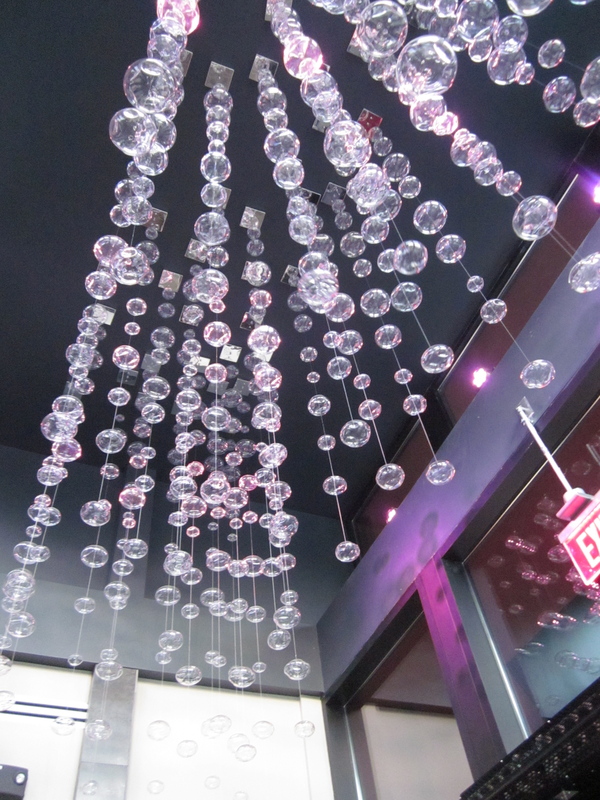 The decor in the restaurant was really cool. We were immediately brought a cocktail menu, which was filled with all sorts of creative drinks. I decided to stick with (aka order 3 of) the Reisling that I had gotten at the bar. It was not super sweet but very refreshing. Steph started off with the Cucumber Mohito. The “Bang” was also a drink of choice by the table. This drink was made of belvedere vodka, chambord, champagne and raspberries. There were definitely no complaints on drink orders. 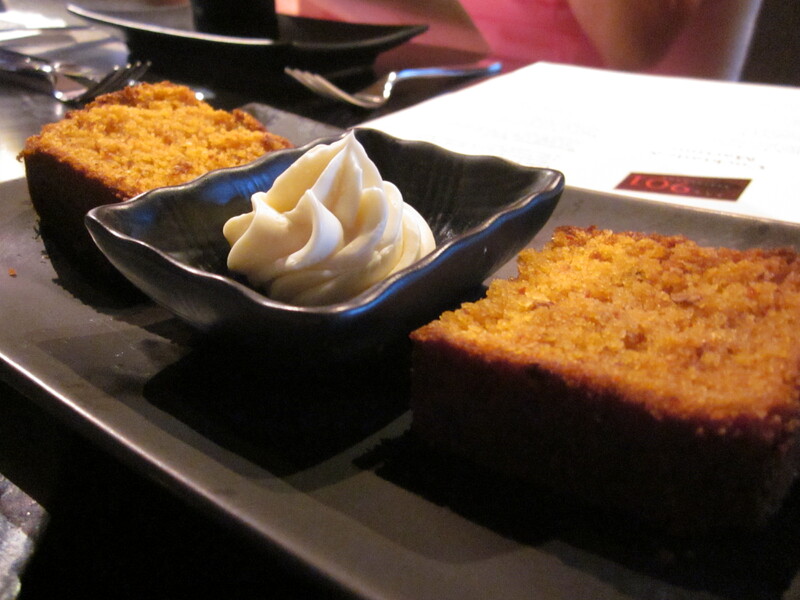 Soon after receiving our drinks, we were brought complementary plateS of chipotle cornbread. They just kept them coming. Again, no complaints. The butter was also a homemade butter that had a little bit of sweetness to it. SO good on that cornbread. 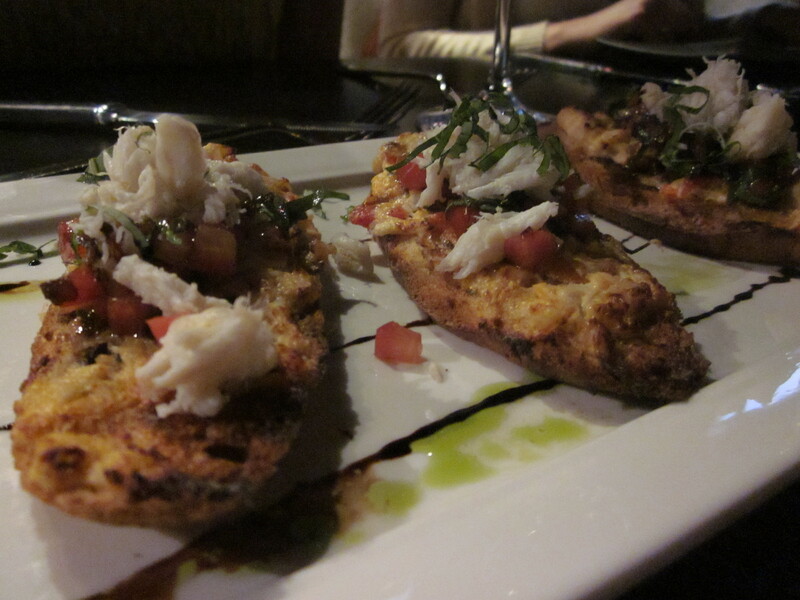 and the Lump Crab Pinchos, which had roasted red bell pepper cream cheese, tomato and basil on sun-dried tomato crostinis. 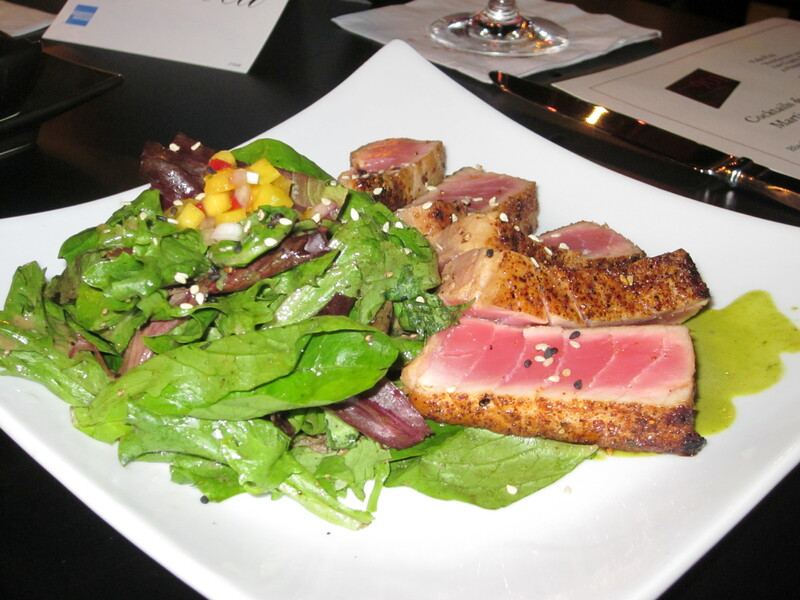 Both dishes were delicious and had us excited for our entrees. Jenny (an eating club and training buddy) and I shared the Sweet and Spicy Seared Tuna Salad (which was served with Mango Salsa) and the Southern Style Crabcake Sandwich (which was served with creole mustard aioli on a sweet potato bun. Before ordering, I asked the waiter if by any chance they had sweet potato fries. He checked with the kitchen and reported that they didn’t have them, but would have made them for me if they had any whole sweet potatoes in the back. Our waiter was fantastic and the service was great. 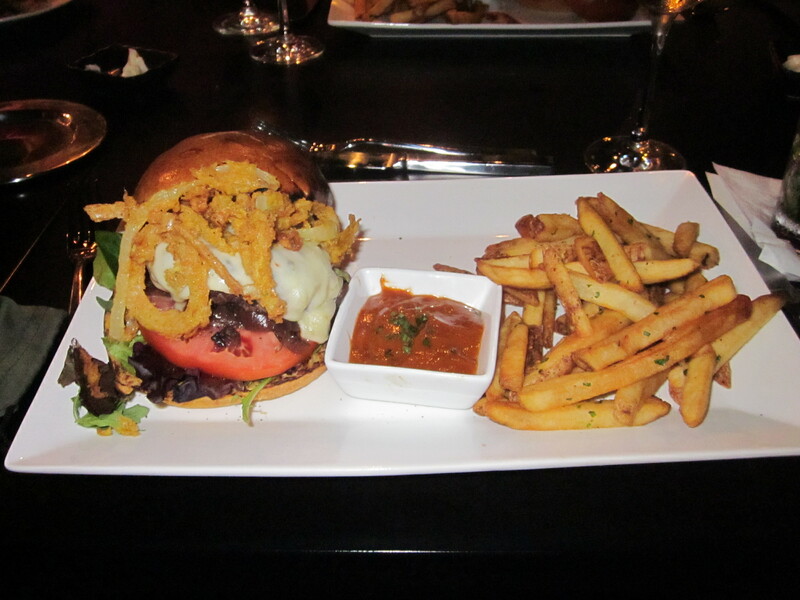 Steph (and 3 of the other girls) ordered the Bison Burger, which was served with curried onion straws, jalapeno jack cheese and onion marmalade on a sweet potato bun. I tasted…it was good. By the time dessert rolled around, we claimed that we were too stuffed to order dessert. But clearly we would not be an eating club if we did not make room in our stomachs to finish off dinner with something sweet. So we took a 10 minute walk (aka made room in our stomachs?) 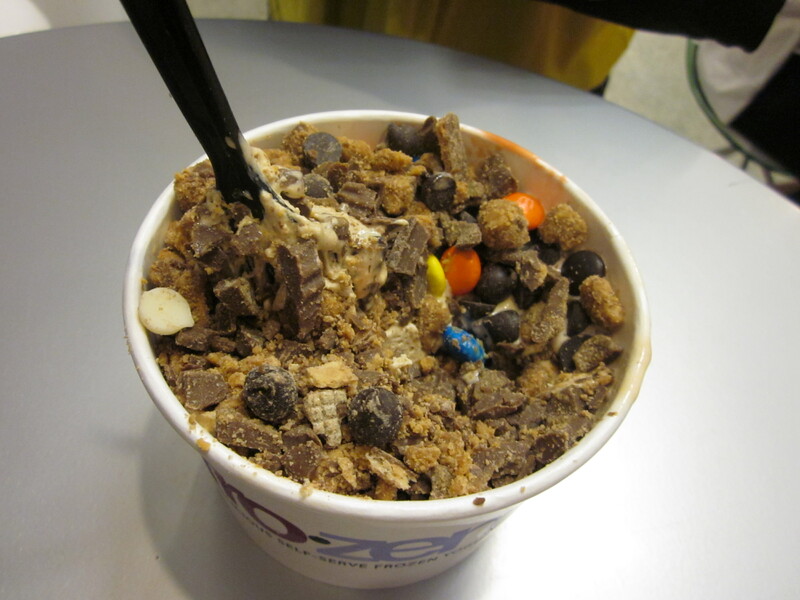 to FrozenYo to finish off our meals. Eating Club Girls are REALLY REALLY REDICULOUSLY GOOD at making froyo cups. Having a themed pot luck eating club is loads of fun, but this past Friday’s girls night out at 901 was definitely up there on the charts. I would HIGHLY recommend checking this place out if you live or are visiting D.C. The menu and wine/cocktail list is extensive but not over the top pricy. 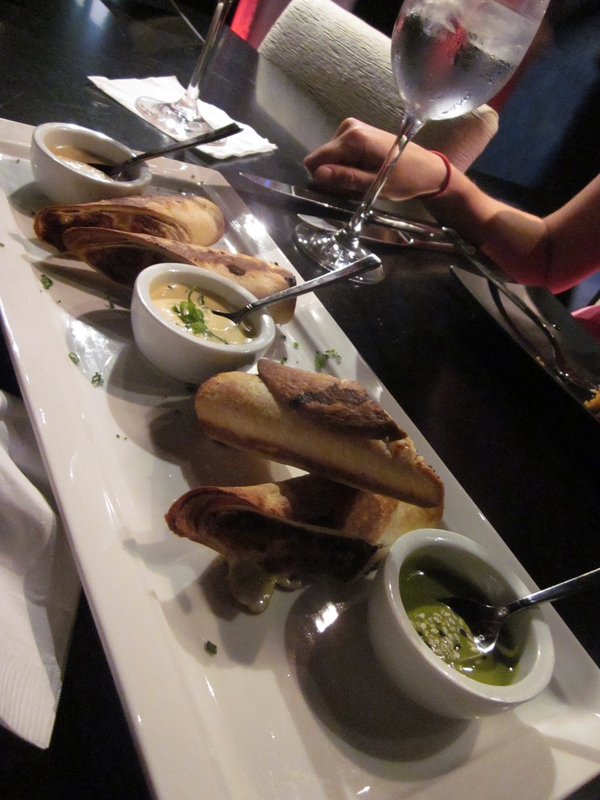 The wait staff was friendly and accommodating and the service was great. Question of the Day: Do you have a “go to” restaurant that you always hit up or are you the type of person who likes to try new places? 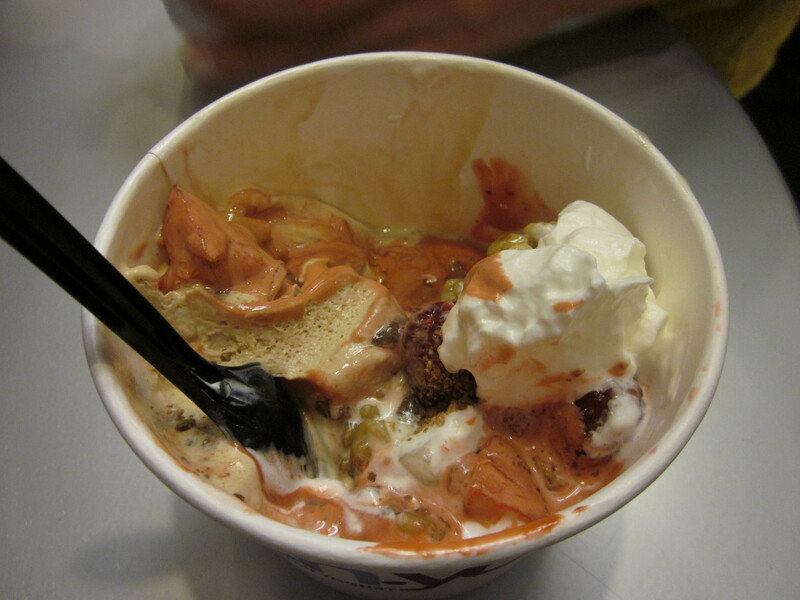 I think that some time for Eating Club, you all should have a contest to create the best frozen yogurt cup. Who would win? Sorry to hear about the knee – hope you can get it under control soon. meeeeeeeeeeeeeee! Duh. I am the frozen yogurt queen. Pumpkin bread?!?! I think you mean Chipotle Cornbread!!!!!!!! Looks great! I’ll definitely have to check that place out! 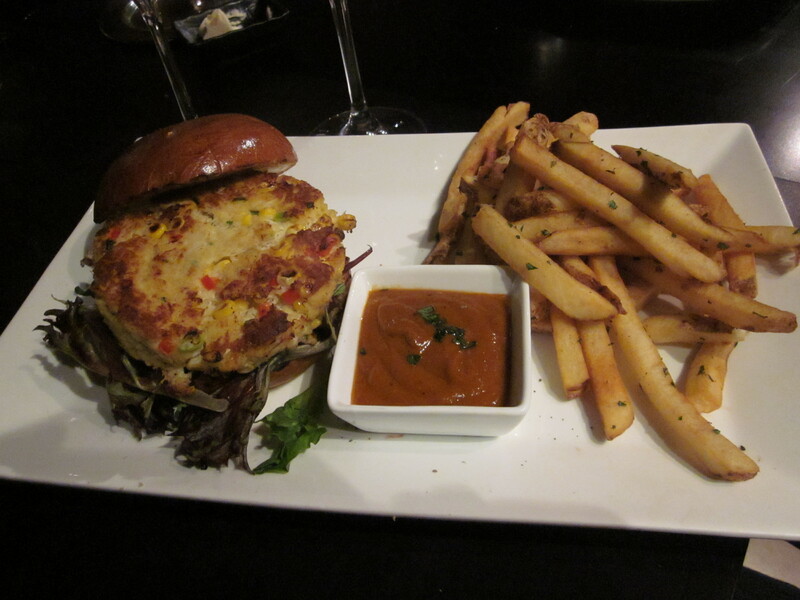 it is a perfect girls night out or date night spot! chloe so sorry to hear about the knee! i will do some healthy dances in your honor to send you heal fast vibes. Thanks Emily! I need all of the healthy knee dances I can get! umm yeah…eating club is basically the greatest thing ever. oh that place looks awesome! always nice to get a good recommendation for somewhere new to try. 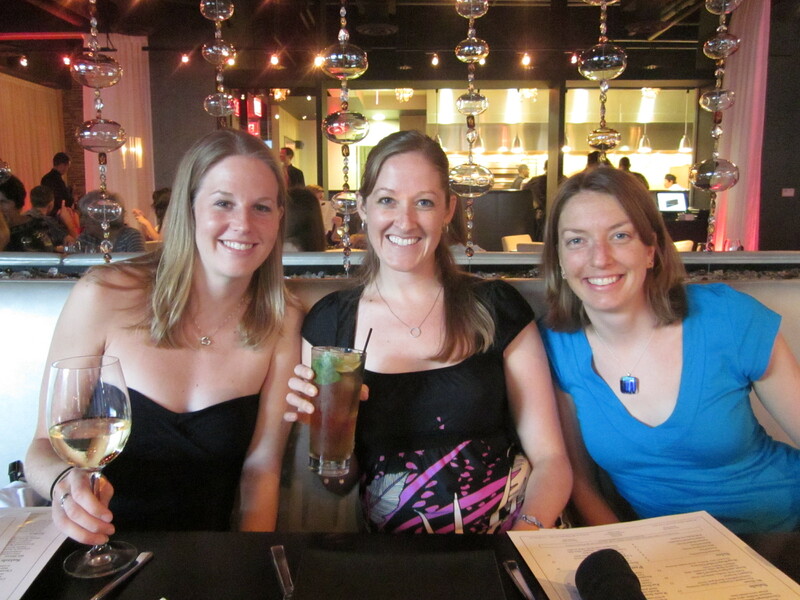 love the “eating club” concept – looks like you ladies had a blast :). definitely try out 901! 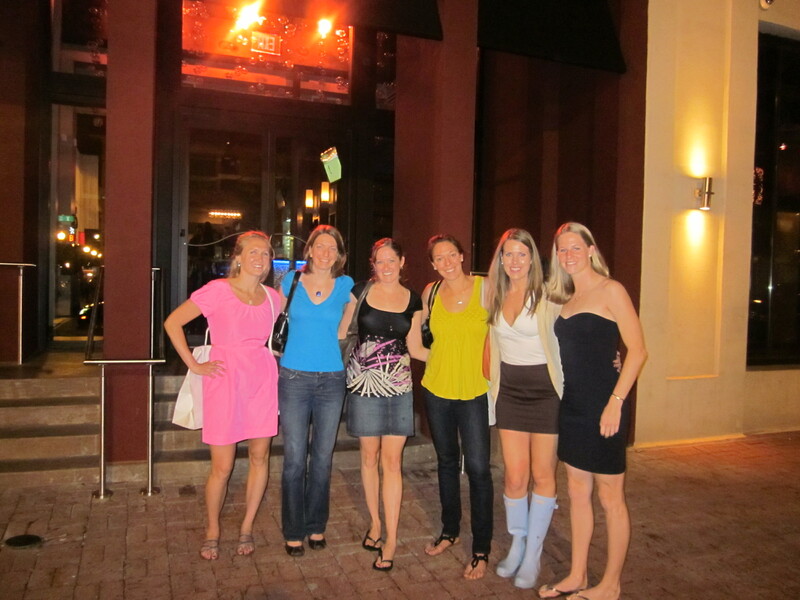 It is the perfect girls night out spot! I definitely have a go-to froyo spot 🙂 But I love discovering new, local restaurants when it comes to nearly everything else. This dinner out looks like such fun! Looks like it was a great spot for dinner. Everything looked yummy! I missed another great meeting! Hopefully I’ll be in town for the July meeting!